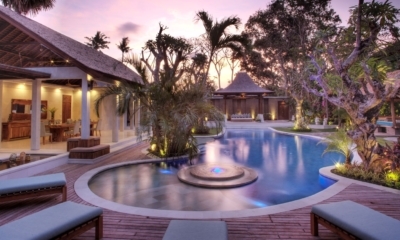 Offering up to 10 bedrooms, with lush grounds and exotic interiors in the heart of Seminyak. If luxury has a name, it’s Massilia. 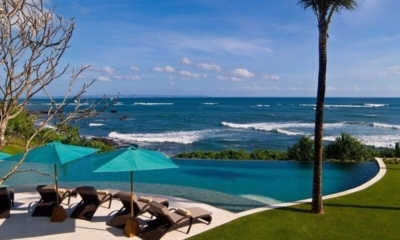 This unique private complex of a 4-bedroom villa and two 3-bedroom villas is one of the finest accommodations you’ll ever find. The villas are interconnected through a sliding wall and a private gangway, making Massilia the ultimate choice for large groups traveling together. If comfort, indulgence and rejuvenation are what you’re looking for, with the option of the convenience of downtown Seminyak, look no further than Massilia – you’ll never want to leave. With 10 bedrooms across the three villas Massilia comfortably sleeps 20 adults. The bedrooms have been decorated with an eye for aesthetics and a feel for comfort. All are air-conditioned, have private ensuite bathrooms, TV and audio facilities. The Massilia complex comes with a fully-equipped kitchen, open-plan living and dining areas that is opulently furnished in local woodwork and artwork. 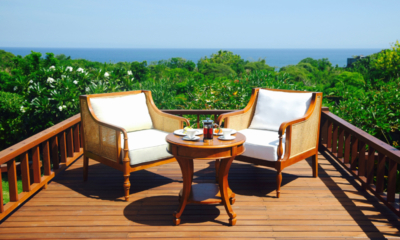 The neutral and earthy tones that have been used throughout the villa create an ambience of pure indulgence. The Massilia villas can boast of a total of three pools (13×4; 10×3 and 8.5×2.5 meters), complete with poolside sun chairs, umbrellas, comfy sofas and relaxing bale pavilions. By opening the sliding doors between villa 1 and 2 you can create a grand pool area, perfect for hanging out and getting together throughout the day. 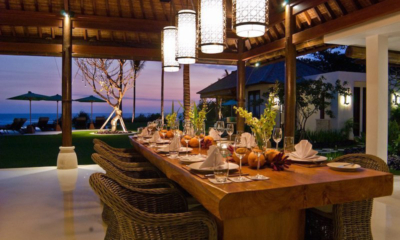 The Massilia is located in a prime location in Seminyak’s trendy Oberoi area. Within walking distance you have Seminyak Beach and some of Seminyak’s best restaurant and hotspots, including the legendary Ku De Ta Beach Club. Yet, Massilia is a calm oasis, where you can recharge your batteries between exploring Seminyak and the rest of Bali. 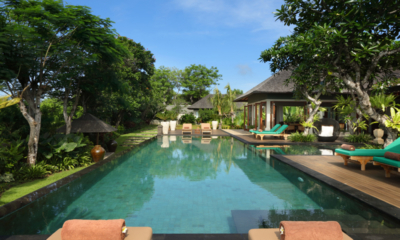 The villas are fully staffed with a team of house keepers, a villa manager, security guards and a chef and a cooking assistant. The friendly staff will take care of grocery shopping for in-house meals and the chef will cook for you throughout the day, so you can focus on enjoying your vacation. If you are looking for a complex to sleep a large group this villa complex (made up of 3 villas) is perfect. Undergoing renovations in March 2019 this villa is going to be amazing!